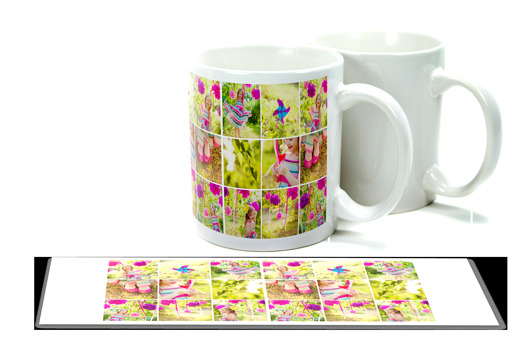 Trupix sublimation mug paper is perfectly sized for almost any mug you'd like to press! No more having to cut carefully around your image in order to have the paper fit comfortably around your mug! Mug Paper 238x96mm: This paper cannot be used to print a top-to-bottom transfer on the 11 oz. mugs. There will be at least 0.6mm margin on top and bottom, as our 11 oz. mugs are 96mm tall. This mug-sized paper is also the perfect size to use with inserts for many of our mobile phone cases! NOTE: Trupix Paper is only printable on the bright white side.